Become a Level 1 Girl Power Go Instructor! Location: From your home or office - LIVE remote training is here! Time: Day and Evening options available - select the time that best fits your schedule from the options above. Train and join our Girl Power Go team today! Become a Level 1 GPG Instructor by learning the theory and background of the program as well as basic fitness training. 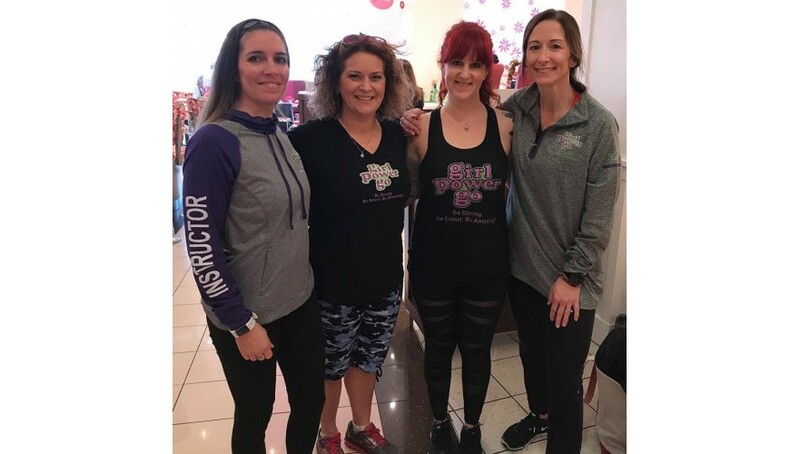 Instructors will receive training and support from the Girl Power Go Team and Girl Power Go CEO & Founder Erin Mahoney. There will be 6 - 90 minute LIVE modules of training. This in-depth training includes strategic planning, Girl Power Go proven principles, class theory breakdown and implementation lessons for the 8-week Girl Power Go program. Girl Power Go branded marketing tools, trademarked logos and a business success package are part of your training. You will be provided with all the tools and content you need to teach and share this powerful program in your community. You will become part of a community of women that are aligned in our Girl Power Go mission to Empower Girls Everywhere! We are excited for you to become part of our team! GPG level 1 Instructor training includes an overview of basic kickboxing, yoga, mediation, boot camp style fitness, strength, stretching and conditioning work. Equipment review, proper classroom follow up and how to have difficult discussions with parents will all be part of your remote training. **All instructors must carry their own current CPR certification and liability insurance. I hereby understand that Girl Power Go, LLC, is not responsible for injury or risk of injury to anyone participating in this program. Girl Power Go, LLC have my permission to act in case of an emergency if I cannot be reached or give consent. By signing this form, I hereby release and discharge Girl Power Go, LLC, any of its employees/contracts, and all volunteers from any and all actions, causes of action, claims or any liabilities whatsoever on account of or in any way related to or arising out of participation in this certification Program. Enrollment fees will be returned if a course is canceled due to insufficient enrollment or if the course is full and you did not get tin. Otherwise, your payment is nonrefundable. I acknowledge that I have voluntarily chosen to participate in a program offered by Girl Power Go, LLC. In signing this document, I acknowledge and grant permission for the trainer, Erin Mahoney and members of her staff to photograph me participating in these programs. In addition, I grant permission for these photographs to be used in media associated with Girl Power Go, LLC articles and advertising such as print and website postings. Designed to get girls excited about being strong, self confident, independent and healthy! For more information on Girl Power, call or email us today!